Misconception: Pirates lived in the late 17th century through 18th century. Truth: As long as there have been boats and crime, there has been piracy. Julius Cesar was kidnapped by Greek pirates in the year 75 AD. He escaped and returned to Greece to capture and crucify the pirates. Read about it here. The Viking age, 8th century to the 11th century, was dominated by constant fear of Viking raiders from the sea attacking and plundering European settlements. The very word viking means to go pirating. With their low draft ships the vikings could penetrate deep into all the countries of Europe including Italy, Russia, and Persia, by navigating the rivers. For centuries the site of a Viking long ship outside of Scandinavia was usually followed by bloodshed. The raiders made off with plunder, livestock, and people who were sold as slaves. To appease the raiders in 867, the Frankish King Charles the Bald gave part of the peninsula we now call Normandy to the vikings to settle and create a buffer zone to protect France from the raids. At the land transfer ceremony, the King demanded that the vikings bow to him. The leader of the vikings walked up as if to bow and punched the King in the face. The king was wise enough not to retaliate. 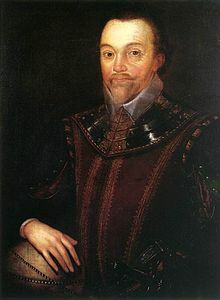 The descendent of these pirates was William the Conquerer the Norman King who conquered England. After the conquest going Viking was less respectable and more likely to be met with force. Scandinavians became major traders instead of a sea-faring raiders. Christopher Columbus may have been the scion of a large Spanish family of pirates not a Genoese weaver as often reported. Whether or not he has pirate origins it is clear he was seeking a new route to China to avoid the rise of Turkish pirates in the Mediterranean and Adriatic Seas. In the 16th century, the Adriatic Sea was plagued by Uskok pirates. More about the Uskoks. These colorfully dressed professional pirates nearly shut down all shipping between the Levant and Venice at the height of the Renaissance. in Disney's Treasure Island (1950). Misconception: Pirates spoke with a "pirate" accent. Truth: Pirates spoke with many accents. "Arrrgh, matey," and other "piraty" phrases have there origin in the portrayal of Long John Silver and various other pirate characters in Hollywood movies. 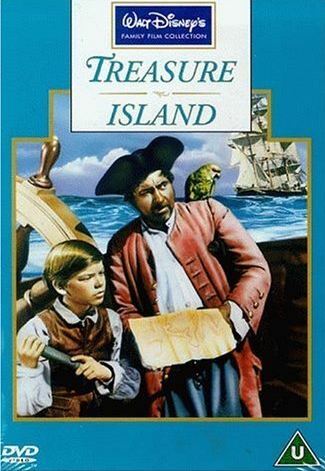 According to Cracked.com, "In the 1950 Disney adaptation of Treasure Island, Robert Newton played a pirate from the West Country and overdid it a little with the accent, throwing "arr" into every other sentence. Two years later Newton used the same accent in Blackbeard the Pirate, and the stereotype was cast." Other sterotypes from movies include peg legs, hooks, eye patches, and parrots. Stereotypes from more modern films include an excessive amount of gold teeth, dreadlocks, and zombie pirates. Misconception: Pirate, privateer, corsair, and buccaneer all mean the same. Truth: A pirate is a violent seafaring criminal who acts without sanction from any government. A privateer has been given letters of marque or a commission from a government to harrass, detain, and plunder any ship not flying the colors of that government. The corsairs are similar but located in the Mediterranean and only allowed to attack ships of Chistian countries. Or in the case of Christian corsairs, they are only allowed to go after Muslim ships. A bucan is a bar-b-que on the beach, so a buccaneer is one who bar-b-ques. Eating bar-b-qued pork on the beach is far from abhorrent now and it is hard to understand how that could have ever been an epithet. Since pigs had gone ferral in the Carribean after escaping from the ships of the early explorers, they became a nuisance to landowners and a popular source of food for the lower classes and pirates. "Buccaneer" was a derisive term describing uncouth eating habbits, similar to calling someone a rat-eater. Misconception: Pirates had lots of gold in chests which they buried. Then they drew maps to the treasure. Truth: According to Cracked.com there are only three verified incidents where pirates buried treasure during the golden age and in no case have they ever drawn a map. Each stash was quickly found and plundered by other pirates. It is much more likely that the idea of buried treasure comes from their hapless victims who buried their belongings prior to a raid in an attempt to preserve their wealth. The stories of pirate treasure come from 19th century adventure fiction books like Pirates by Howard Pyle, and Treasure Island by Robert Louis Stevenson. Misconception: Pirates chose or were born to be pirates and were always held in disrepute by law-abiding people. Truth: Many pirates were mutineers from the Royal British Navy but few of them chose to join the navy. It was legal for the Royal Navy to hire press gangs to "draft recruits" by kidnapping young men from their homes in the middle of the night or to get them drunk and abduct them when they passed out. Often their families never knew what had happened to them. Life was hard for the sailors who were beaten and threatened with death on a daily basis. Life expectancy for men pressed into service was no more than two years. Many crews mutinied against their officers or just surrendered when threatened by pirates. Then they either became pirates themselves to live or, if they ever returned to England, were tried and hung for the crime of mutiny. was a privateer, not a pirate. Life was hard for the pirates but less than one would expect. Pirate politics were quite progressive for the time. Pirates elected their captains. They also sympathized with the plight of enslaved Africans having been virtual slaves themselves and they attacked slave ships in the Carribean so they could free the captives. Black and white pirates fought and lived in equality, side-by-side. Women also joined the crews wearing women's clothing most of the time and men's clothing whenever they anticipated battle. Pirates of the Golden Age lived by a code that divided the loot from a haul fairly among all the crew. Far different from the low wages paid in the Royal British Navy and often stolen by the ship's captain. Most of the sailors spent their loot quickly in the safeharbor towns that catered to pirates but some held on to their money and managed to rise in status to captain of one or more ships. Some even became landowners and governors. Corsairs were named after their swift boats. Since Corsairs in the Mediterranean were acting on behalf of their religion and their government, they were considered honored warriors in their home country, not bandits. Unlike Carribean pirates, who were considered outlaws by the British government, the corsairs were supported and encouraged by their leaders who were angered by the rise in influence of Westerners in Islamic countries. Some things don't change. "His exploits were legendary, making him a hero to the English but a pirate to the Spaniards to whom he was known as El Draque, Draque being the Spanish pronunciation of "Drake". His name in Latinised form was Franciscus Draco (Francis the Dragon). King Philip II was said to have offered a reward of 20,000 ducats, about £4 million (US$6.5M) by modern standards, for his life." Misconception: Pirates made all their captives walk the plank. Truth: Though there are a few rare recorded incidents involving pirates making someone "walk the plank", this was a custom more closely associated with mutiney than with pirates. Usually pirates just chucked their captives over the railing without any ceremony. If you want to add this article to your list of favorites or email it to a friend, please use this permanent URL, https://stores.renstore.com/-strse-template/1210A/Page.bok. Permission is granted by the author to quote from this page or use it in handouts as long as you include a link back to Renstore.com.